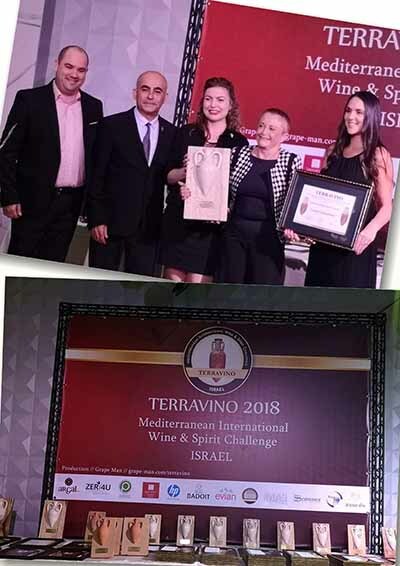 The 'Terravino Mediterranean International Wines & Spirit Challenge' is one of the three major competitions in Israel held annually. The others are Eshkol Hazahav and Best Value. Terravino is the only one that is international, with international and local judges, and it is for not only wines but also spirits. (The others are for wines only.) Held each year in November, this was the 13th year of this particular competition. The annual awards were held at the Leonardo Hotel in Ashdod. There were 538 wines tasted from 23 countries by more than 40 judges. 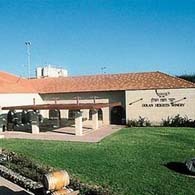 The Grand Champion was the Odem Mountain Cabernet Franc 2010 produced by Odem Mountain Winery in the northern Golan Heights. 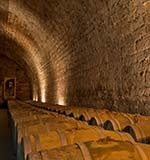 Wineries which achieved Double Golds included: Odem Mountain (with two wines) , Afek, Amram, Kabir, Lahat, Shilo and Tom. Terravino was created and is managed by Haim Gan, owner of Ish Anavim (The Grape Man) situated in Jaffa. However this year the main attention was directed at the award given to Mrs. Carmi Lebenstein. She was awarded with the prestigious Lifetime Award for her services to the Israel wine industry. She was most well known for her time as Sales Director and then Marketing Director of Carmel Mizrachi, which, during her time, was outstandingly the largest winery in the country. She broke a glass ceiling for women in the macho wine industry. She gained plaudits for her ability, intelligence and strong character. Her excellent marketing brain combined with a creativeness, an ability to think out of the box and an enviable track record, allowed her to leave her mark, create change and influence those around her. She was virtually born a bottle. Her father ran the drinks distributing and retailing company Sokolik. After being involved with the family business, she became a retailer. There was very little she did not understand about the wine trade and no-one could pull the wool over eyes. She was at Carmel between the years 1984 and 2000. Since then she became much in demand as a wine consultant. She worked for large wineries like Barkan and small boutique wineries like Alona. Everywhere she created change and made in depth contributions. Her most well known quote is: "Winemaking is art, but selling wine is a profession." She says she will continue contributing to Israeli wine for many years in the future. It was a popular choice by Terravino. She is respected throughout the wine trade.